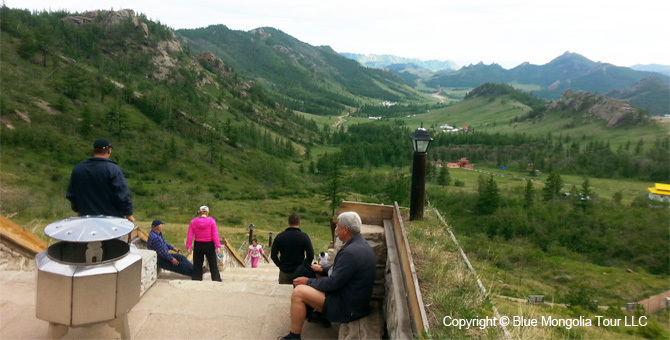 No complaints, two couples enjoyed the trip. 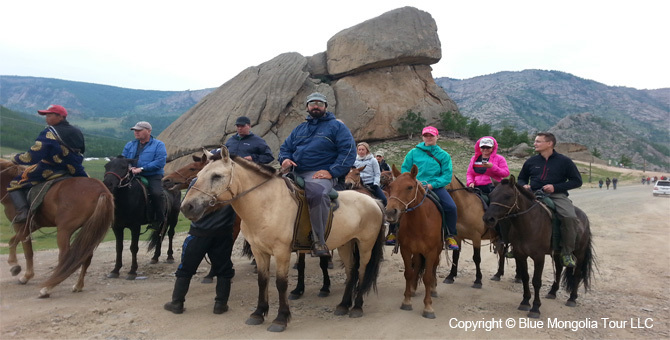 Horseback riding was wonderfull. Very cool service! 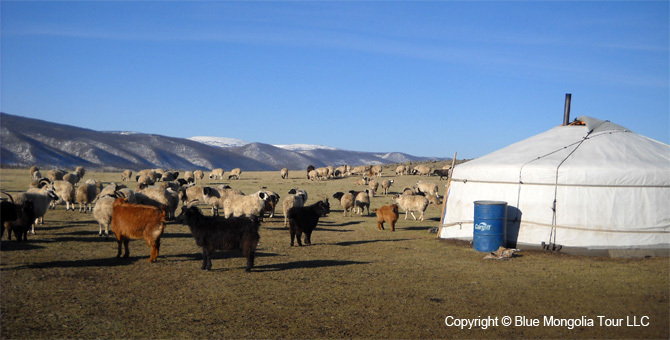 We will recommend Blue Mongolia to our friends. 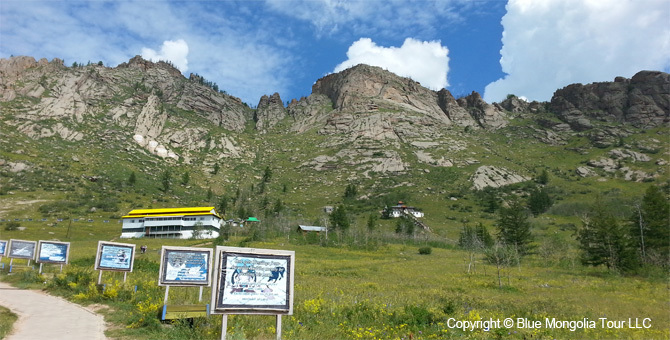 Drive to Chinggis Khan Statue on Tsonjin Boldog hill. 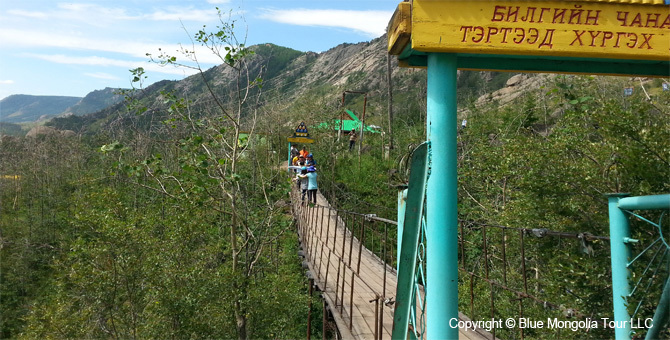 around 80 km & app.1-2 hours drive on paved road. 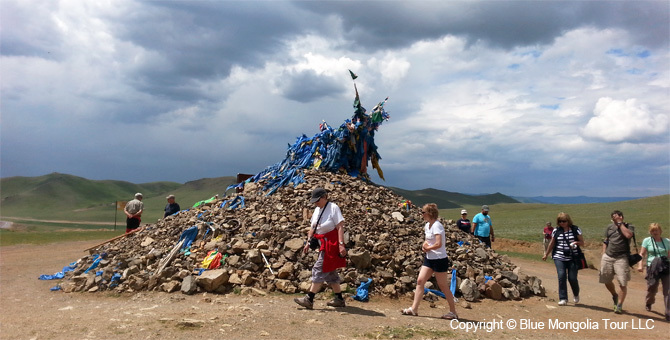 Tsonjin Boldog hill is the historical place, where Chinggis Khan had predicted himself as being the King of Mongolia. The statue is one part of Golden whip complex. 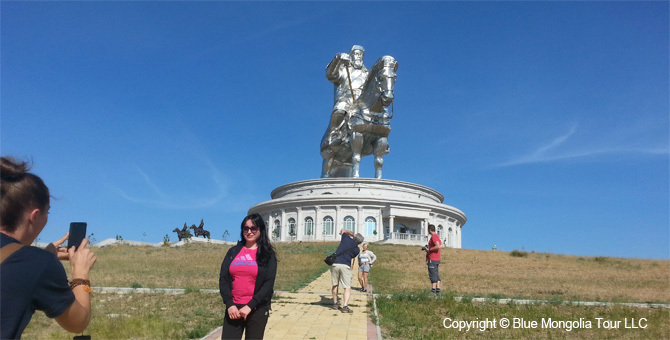 Take the elevator or walk on stairs to reach the top of the statue - deck on the horse mane of the statue, This 40 meter high statue was designed by Mongolian architector Mr.Erdenebileg. 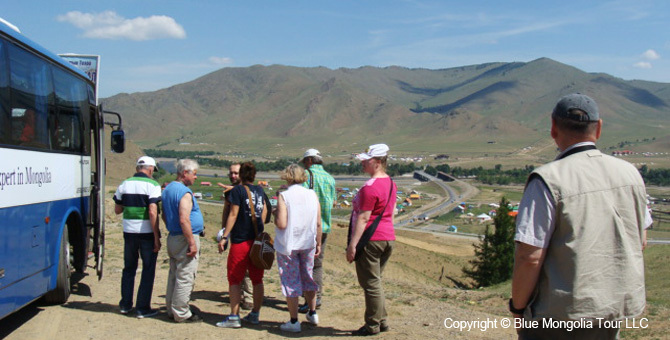 Explore the surrounding area including Tuul river, Khentii High Rocky peaks, low rallong hills and green valley. 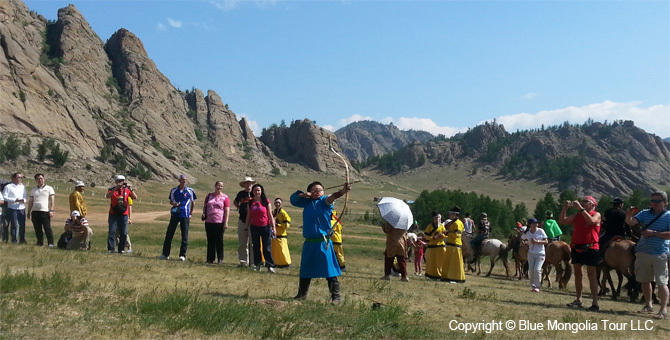 After that you will visit to history information rooms: some items, which were used in Chinggis Khan period -13 century. 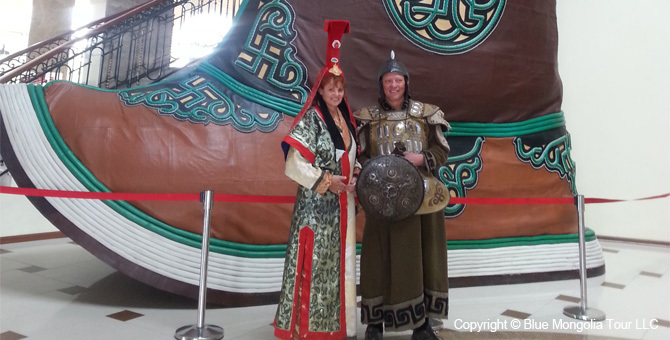 Also here you will have a chance to put on ancient mongolian costumes, soldiers helmets and to be photographed. 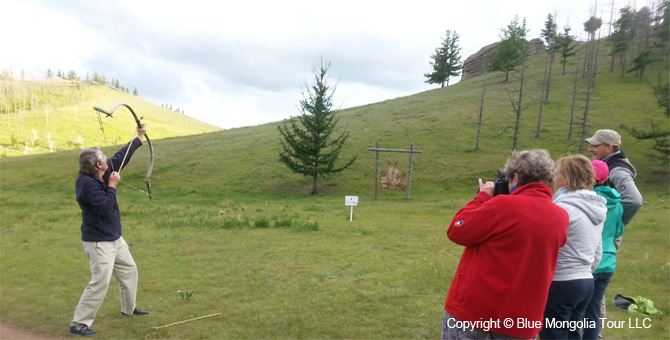 Drive to Tonikuk Turkish Inscription dated to 6-8 centuries. 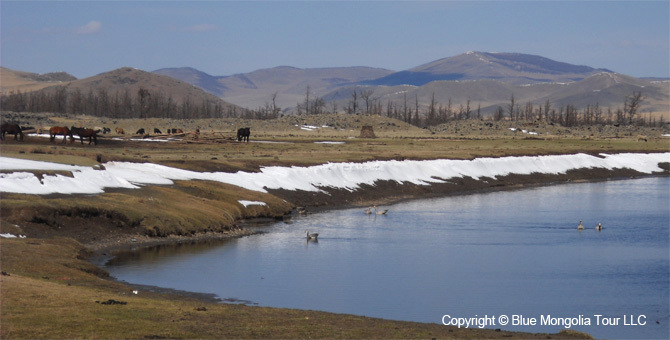 Present Turkey people were living in present Mongolian territory for 200 years between 640-820A.D and they created the monument for their king. 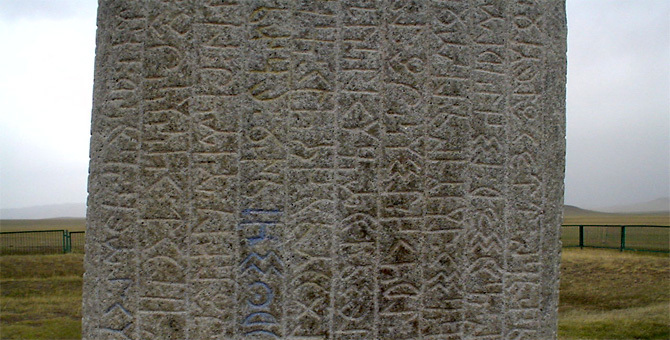 The monument was carved with ancient runic-turkish scripts. For group (more than 10 people): Contact us for details. 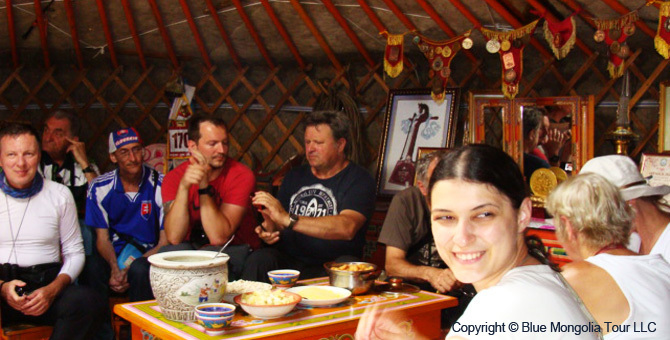 Private transport with driver during the trip including petrol cost, Lunch, Hot drinks: tea or coffee, Tour guide (English or russian, or french, or german or chinese), Lunch charge for driver and guide, Entrance fees to sightseeing and museums, road toll fee, Horse/ camel riding fee for 1 hour, nomad family visit, Archery shooting experience, 0.5L=1 bottle of mineral water per person, travel agency's service fee and government tax. 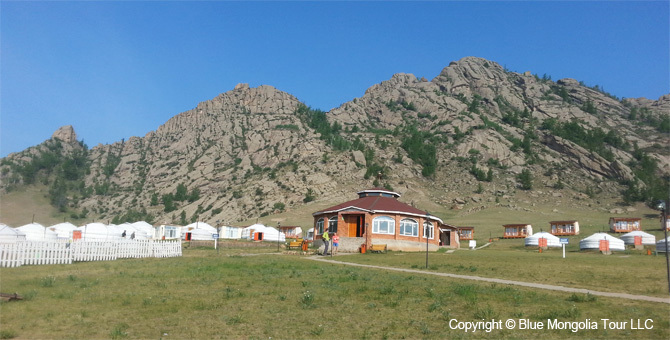 Hotel stay, alcoholic beverages, fee for taking pictures with animals and in national costumes, driver and english speaking guide, local horse/camel guide tips, any charge for additional activities, which is not mentioned in above mentioned program. !!! Tour itinerary and price may be subject to change. 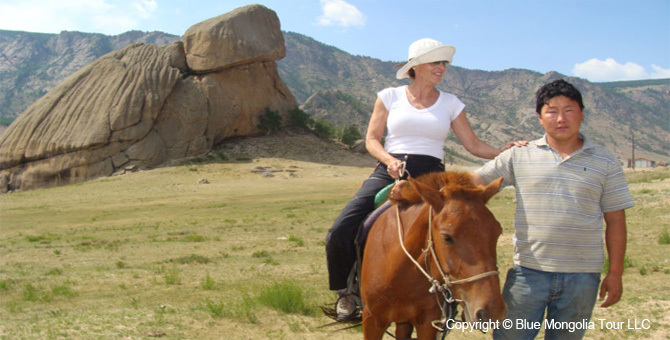 The duration of the above trip can be prolonged or changed to suit your needs. Please, make your reservations at your earliest convenience. Our Office hours is 9:00 to 17:00 Monday to Friday.